BioCare use Quatrefolic®, the most advanced form of folate supplementation available, with optimum stability and bioavailability. B vitamins are required for the release of energy from food, for the healthy function of the nervous system and for the production of hormones. B vitamins support the circulatory and immune systems and help maintain the health of skin, hair and eyes. Vitamins B2, B3, B5, B6 and B12 contribute to the reduction of tiredness and fatigue. 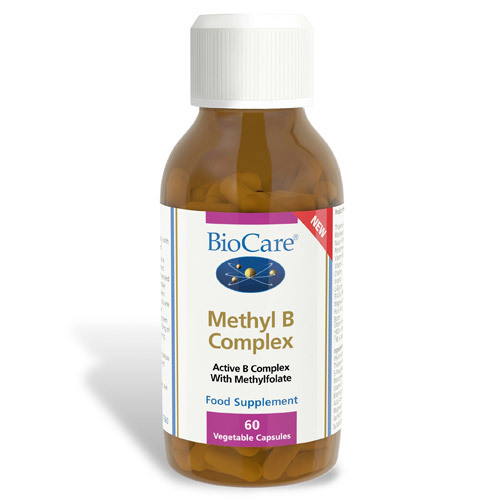 Methyl B Complex is presented in a simple, hypoallergenic capsule. Vacuum packed to maximise stability and freshness, yeast free and suitable for vegetarians and vegans. 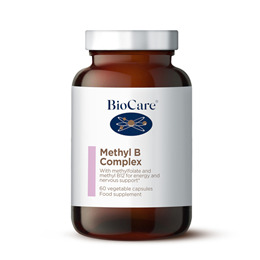 Below are reviews of BioCare Methyl B Complex - 60 Vegicaps by bodykind customers. If you have tried this product we'd love to hear what you think so please leave a review.